PT Pengerukan Indonesia - Rukindo or known as IPC Dregding Services is a reputable company in Indonesia with principal business in dredging and reclamation services. Its business include dredging of sail navigation channel, port basin, reclamation and transportation of dredging products. Rukindo is a logistic and service subsidiary company of state-owned port operator PT Pelabuhan Indonesia II (Persero) or Indonesia Port Corporation (IPC Group). 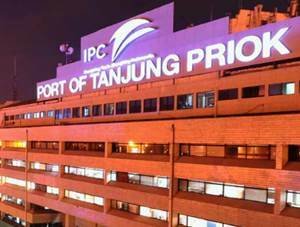 According to IPC Group's profile as cited by JobsCDC.com, Rukindo's shareholders are IPC Group and PT Pengembang Pelabuhan Indonesia, respectively with share ownership of 99.9% and 0.1%. Rukindo was first established in 1991 and initially registered as a state-owned company under the name of PT Pengerukan Indonesia (Persero). Since 5 Juny 2014, Rukino has officially operated as a subsidiary company of IPC Group. Rukindo is based in Jakarta and its corporate office is situated in Jl Raya Ancol Baru, Ancol Timur Jakarta 14310. Minimum Bachelor Degree (S1) in Law (Civil Law). Proficiency in the English language (written and verbal). Good skill in operating Micorosoft Office (Word, Excel, Powerpoint) and internet. JobsCDC.com now available on android device. Download now on Google Play here. Please be aware of recruitment fraud. The entire stage of this selection process is free of charge. PT Pengerukan Indonesia - Fresh Graduate Legal Staff Rukindo IPC Group August 2016 will never ask for fees or upfront payments for any purposes during the recruitment process such as transportation and accommodation.